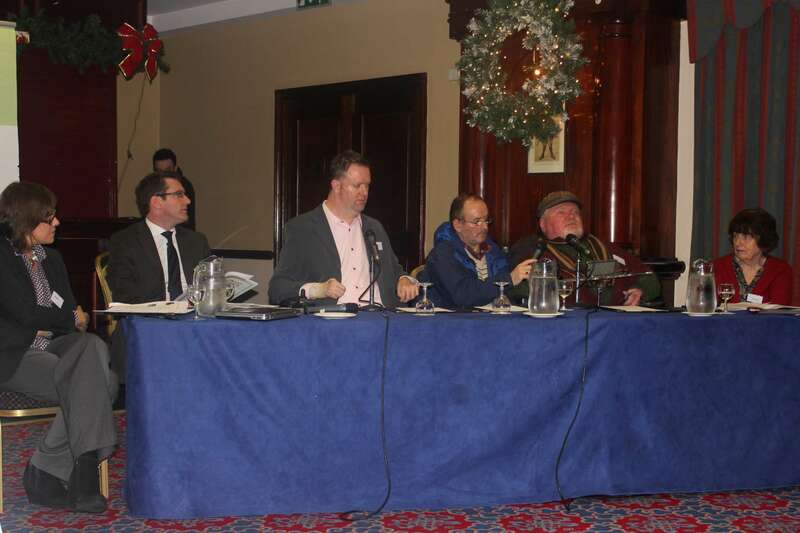 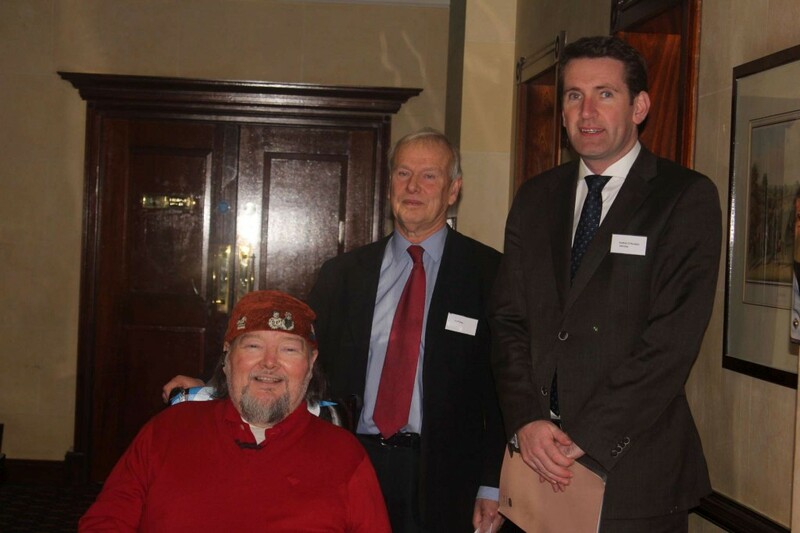 Martin Naughton and Geoffrey Day of Áiseanna Tacaíochta (ÁT) greet Minister for Equality, Aodhán O’Ríordáin TD, who opened the event. 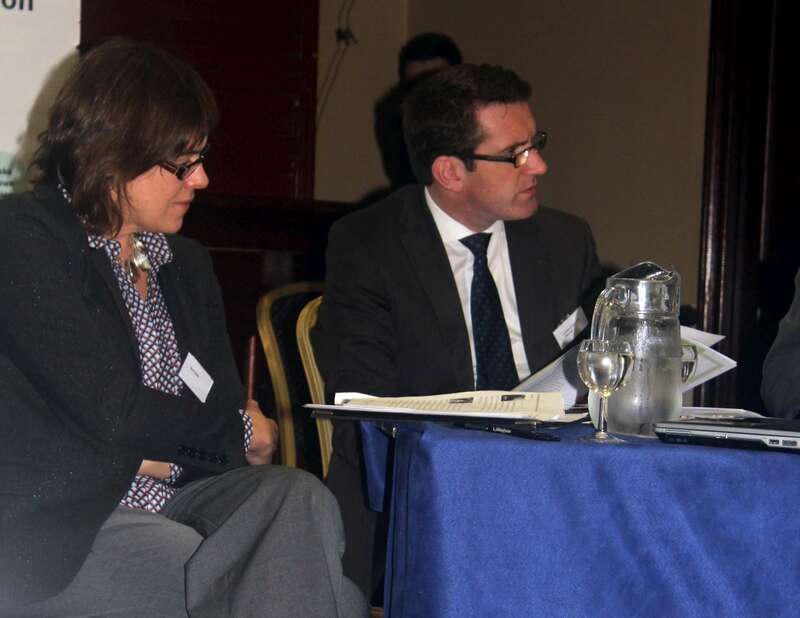 Sara Burke, chair of the event, and Minister O’Ríordáin look on as the first session begins. 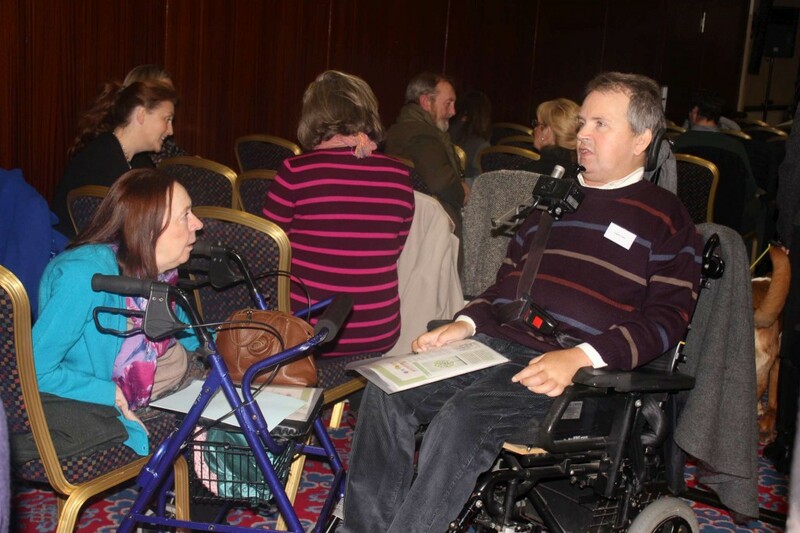 Sara Burke, Minister O’Ríordáin, Owen Collumb, Hubert McCormack and Máiríde Woods discuss the journey to Independent Living in the first session of the day. 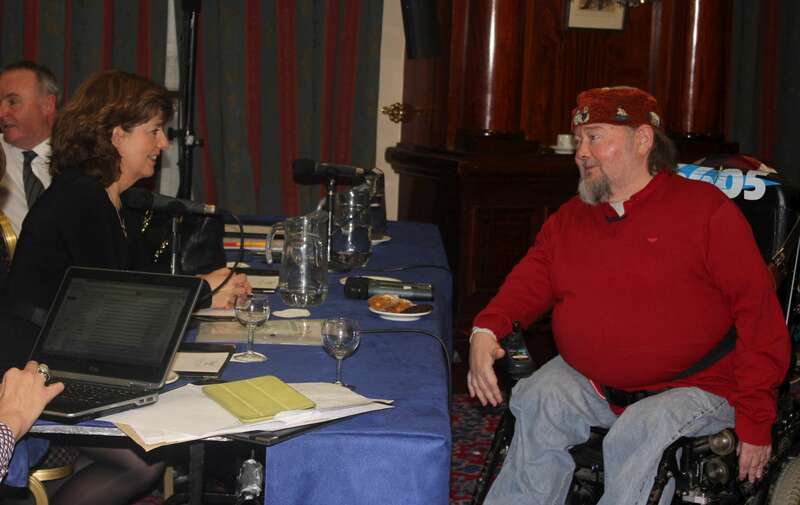 Madeline Clarke of Genio chats with ÁT Leader Johnny Ryan. 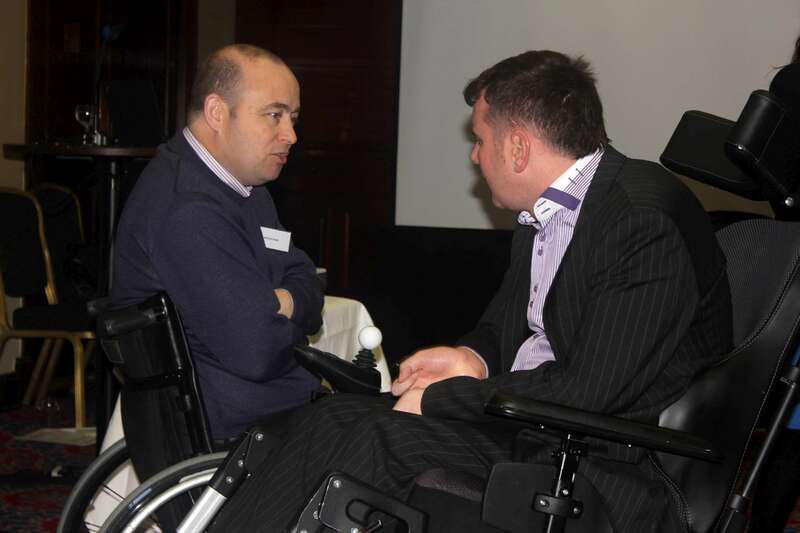 Johnny Ryan catches up with Michael Doyle of the Irish Wheelchair Association. 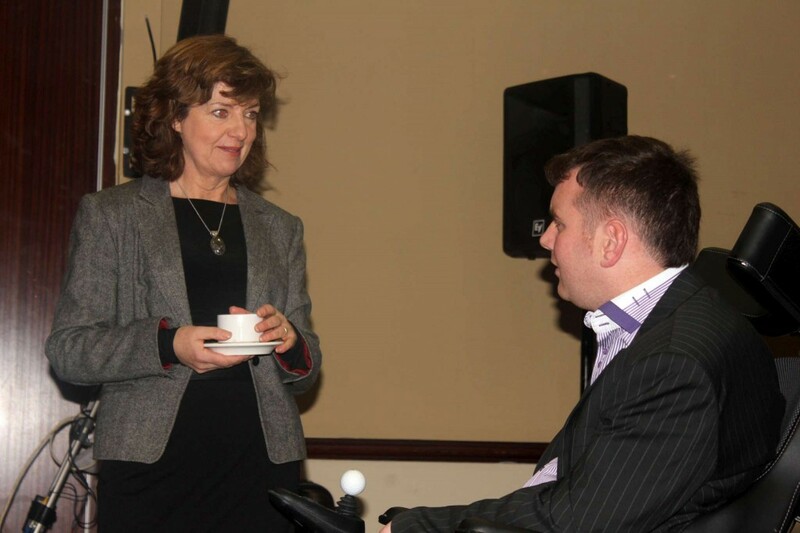 Martin Naughton, Director of ÁT, chats with Madeline Clarke of Genio before the mid-morning session begins. 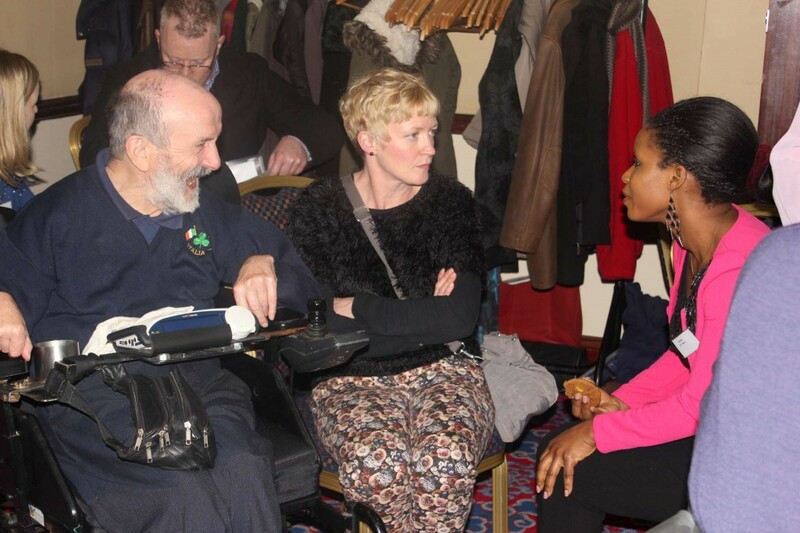 Attendees of the event catch up between sessions. 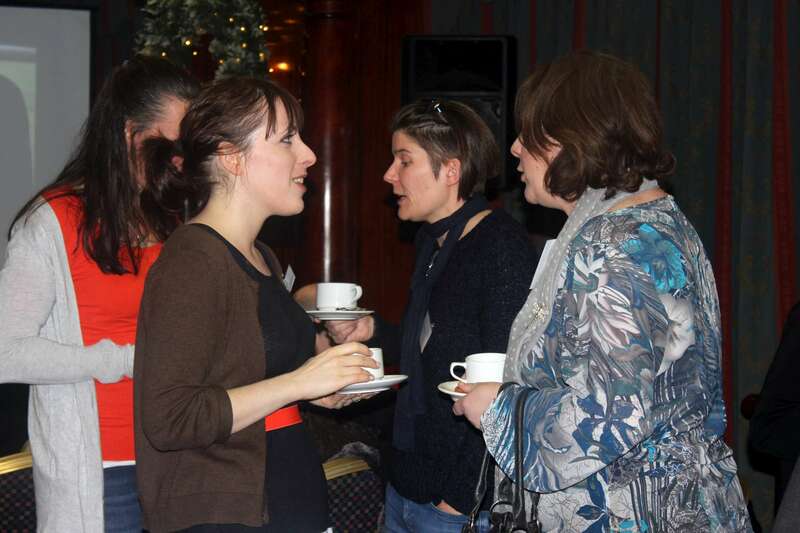 Tina Dio, Communications Intern with ÁT, meets attendees as the afternoon progresses. Marian Brosnan of ÁT talks with attendees during a break between sessions.